Bosco’s is the original Memphis brewpub. They only sell in house brews here, so it’s an excellent time to show your “Bud Light Beer Snob” buddy what real beer tastes like. With names like Isle of Skye, Flaming Stone and Midtown Brown you have to actually have to read the tasting notes and figure out what you like. They do taste flights which are a great way to get a feel for the flavor spectrum of beer. They do gallon growlers for take home, and when you’re done you can bring them back for a refill. Bosco’s also has a commercial brewery called Ghost River which is sold locally by the bottle or you can buy kegs at the brewery loading docks. Excellent food all around, specialty dish here is the wood fired pizzas. These are personal sized and great to get a couple and share between the table. Local’s choice: Midtown Brown and a Flaming Stone for the wife. We both get the Germantown Purist Pizza. 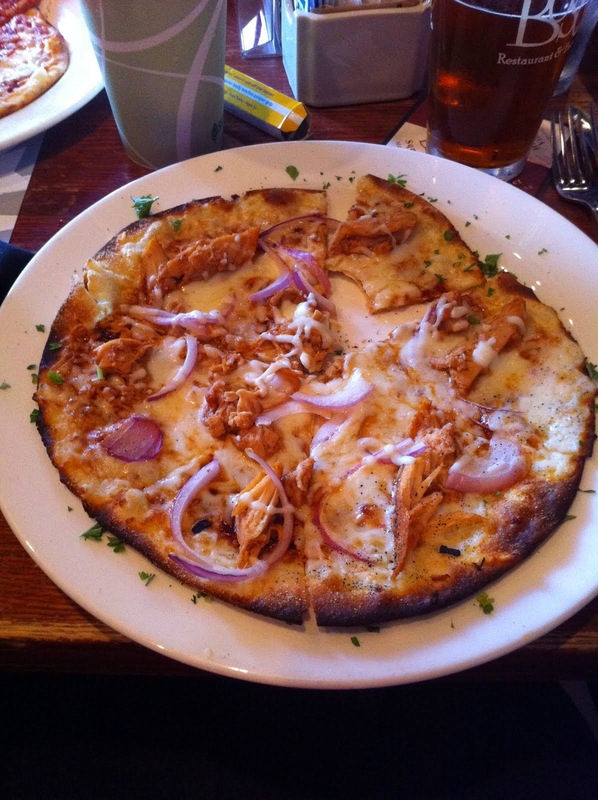 This entry was posted in Brewpub, midtown, Pizza by Trevor Knight. Bookmark the permalink.